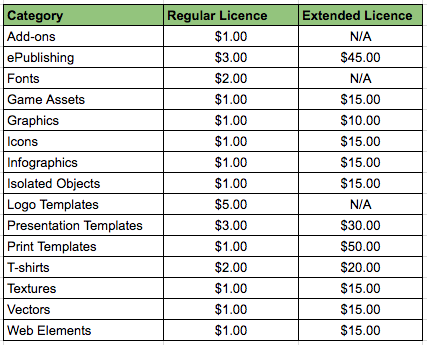 For all marketplaces on Envato Market, pricing is determined at the sole discretion of the author of the item, known as author-driven pricing. Unlike other categories where the buyer fee is 20% of the list price, categories with author-driven pricing use a Fixed buyer Fee. 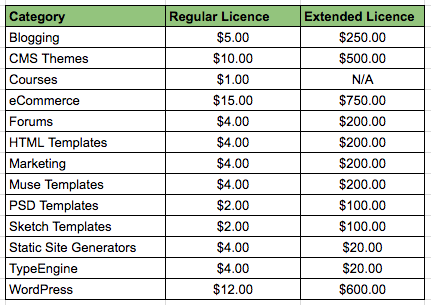 This is the portion of the list price that represents Envato's fee to the buyer. For more information, refer to the selecting a price on Author-Driven Pricing categories article.